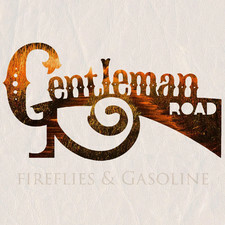 Gentleman Road sounds like a band you’d be more likely to hear at the five points in South Carolina than while bar hopping in Hollywood. But that hasn’t stopped them from bringing their road-trip, southern twang, and midwestern infused sensibilities to their west coast audience. Maybe it’s the novelty of the soaring pedal steel sound, or perhaps plain honest song writing that evokes images of a simpler time that draws people into Gentleman Road. Whatever that inexplicable quality is, it’s obvious this is a real band. No sequencers, no samples, no auto-tune…just honest gritty country rock made the way God intended. Scott Woeckel hails from deep within the corn rows of the Illinois Valley, where he grew up around a musical family and cites his Uncles Joe, Rod, and Geno as his primary musical influences and teachers. Having dedicated a large portion of his career to playing jazz, Scott finds catharsis in simple songs and tremendous joy in being able to break out the cowboy chords and watch his songs take on a life of their own. While songwriting and being a band leader takes up most of his musical time these days, he can still be found on stages here and there playing bebop when he has the chance. In addition to singing and playing guitar, Scott also plays tenor saxophone and makes a mean bowl of chili. Charlie Peterson is one, of exactly two, great pedal steel players in Southern California. Charlie has found himself in a lot of interesting places. He’s played pedal steel, lap steel, and mandolin in lots of groups around Southern California over the years and enjoys the freedom he has with Gentleman Road. Born and raised in Pasadena, he has always lived on the west coast, residing in his childhood home where he has lived his whole life, and conducts band rehearsals in the same room he saw the moon landing in. In addition to being a master on the pedal steel, he’s also a formidable drummer and vibraphonist. He also once saw Lee Sklar at the Pie and Burger. Michael Kaufamn has been playing drums professionally in a variety of musical situations since the age of 16 and is known for his versatile drumming, and ability to play in a wide array of styles. For the last several years he has performed and recorded in jazz, hard rock, R & B, BossaNova, blues and country/Americana bands. Prior to joining Gentleman Road, Michael shared the stage with renowned acts such as Blood Sweat and Tears, Flora Purim & Airto, REO Speedwagon and RATT. Moose McMains hates to think of himself as “The World’s Oldest Living Bass Player”, but he is. The son of an American Foreign Service Officer, he has traveled all over the world, and lived in many strange places such as Germany, Vietnam, Austria and France. He was asked to leave every one, until he finally settled in the strangest place of all…California. His bizarre upbringing, and the fact that he is a twin, explain why he is so weird and chose to play the bass. He really enjoys playing Scott’s music, which makes one start to wonder about Scott. He is no good at anything other than playing the bass. He has never been seen in the company of any reputable people, which explains how he found a home in Gentleman Road. Musicians have been heard whispering that bass notes sound lower when Moose is in the band.